If you're concerned that too much screen time will hurt your kids, your fears are not unfounded. Multiple studies show links between excessive screen time and negative side effects including eye strain, brain connectivity deficits and even an elevated risk of suicidal thoughts. 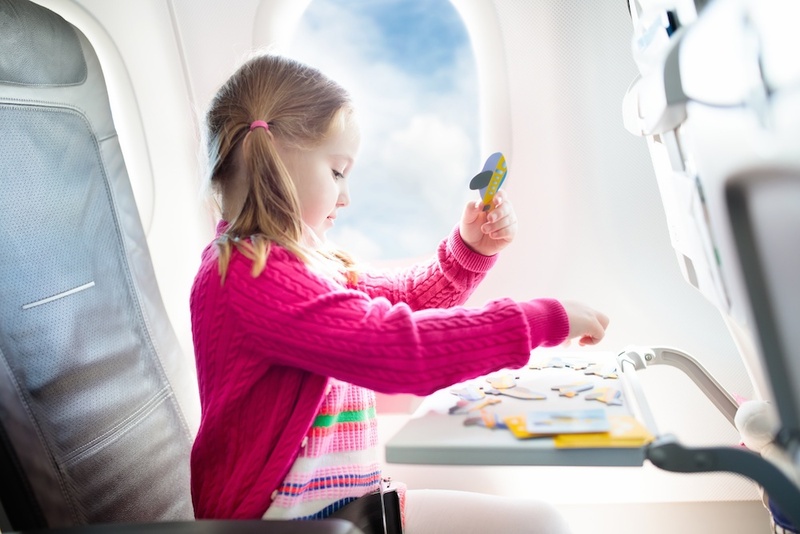 Controlling how much screen time your kids have is one way of protecting their health, and providing screen-free entertainment is a great step – especially during travel when kids are often tempted to stare at their tablets and phones for hours on end. Here are just a few travel activity ideas that will help pass the time, no screen necessary! Younger kids are less likely than teens to roll their eyes at the suggestion of playing games like I Spy, so they're the perfect audience for classic travel games. During a road trip, challenge kids to look for license plates from all 50 states or to find certain letters or symbols in roadside signs. Paper-based games like tic-tac-toe or Hangman are playable in any environment, as is 20 Questions. One person thinks of a person, place or thing, and other players can ask up to 20 yes-or-no questions before guessing what the person is thinking of. Help your child channel his or her inner creator during your next journey. If your child loves anime or cartoons, provide a sketchbook and drawing pens and ask him to create his own version. Pick up a beginner's embroidery kit or a model building set for a child who likes to work with his hands. Alternately, pack writing pads and challenge a kid of any age to write poems, a novel or whatever else interests him. A child who's used to being entertained by screens might be resistant to going totally tech-free. In that case, play audio books through the car's stereo system. If you're traveling by another method, play the audio on your own phone and connect it to a pair of bluetooth kids' headphones. That way your child can hear the story but doesn't have access to her own screen. Audio language lessons might also appeal to a child who's interested in learning a new language. When you're traveling during the holiday season, put kids to work on making their own gifts for family members and friends. Pack a bag of photos and scrapbooking supplies and ask kids to design their own photo books for grandparents and other long-distance relatives. Kids can also make jewelry and greeting cards from the seat of a car, plane or train. Looking for more screen-free activity ideas? Check out our new downloadable guide!